Let me tell you about one of the scariest experiences of my life. I was about 8 or 9 years old and in grade 3. It was lunchtime and the concrete veranda walkways past the years three and four classrooms were deserted except for my two schoolmates, who waited diligently outside the forbidden seniors toilets that I had snuck into. I had been given a challenge; say Bloody Mary in the seniors toilets at lunchtime and I could sit with them at lunchtime. Yes. This was a big thing to 8-year-old me. So there I was, standing with my nose almost touching the polished steel of what passed as a mirror in a public school and trying to speak as softly as I could as if Bloody Mary was somehow sleeping on the other side of the mirror. Nothing particularly spooky happened, other than the minor panic attack brought on by my two ‘friends’ who thought that it was funny to leap in through the doorway and make me almost wet myself. It definitely made an impression on me as a kid and – I realise now – may be the reason why I have anxiety issues in bathrooms. How many people would you think have done this exact same thing, I wonder? How may dares and double-dares have resulted in trying to summon a spirit that will drag you down into the depths of Hell or leave you a torn, bloodied corpse, depending on what legend you hear? This impulse to chase an Urban Legend – in this case Bloody Mary – like some kind of rite or proof of worthiness (as it was when I was 8 years old), is part of the practice of Legend Tripping. 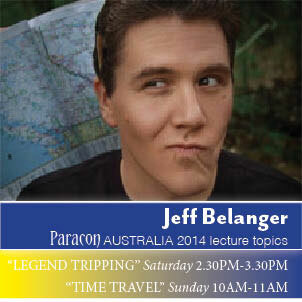 Legend Tripping is one of the subjects that is going to be covered at Paracon this year by American researcher and author Jeff Belanger. As a former journalist, he has published dozens of books both for children and adults alike on Legend Tripping, the unexplained and the just plain weird. His way of applying social anthropology to the paranormal field in a way that is both understandable and entertaining is what has made him one of the most recognised paranormal researchers in the field. How did you first get into looking at legends and urban folklore, specifically those of a more paranormal or unexplainable nature? It was a dark and stormy night… I was ten years old, and attending a sleepover at a friend’s 200-year-old house. He said his house was haunted, so we broke out a Ouija board and tried to make contact. Growing up in an historic New England town gave me a life-long fascination with ghosts and the paranormal. My first passion was haunted places and the supernatural. 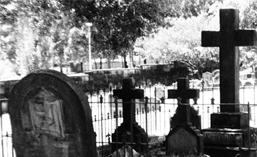 Over time, the love of haunted places led me to paranormal investigations. I had the gear and gadgets, and I adored the history of the haunts, but the paranormal community itself left me with more to be desired. I noticed a lot of in-fighting with groups, arguments over who has the right to investigate which locations, and of course what constitutes true evidence and what is just dust floating inches from a camera lens. I had already reached the conclusion that none of us really has a clue. So I decided to strip out all of the parts of this field that annoy me, and what I was left with were great stories. It’s the story first that draws us in. You hear something that sounds true enough that you want to check it out for yourself. That’s legend tripping. I didn’t invent the term—folklorists have been using it for decades. It’s most often associated with teenage rite of passage events like daring each other to touched an alleged cursed gravestone at midnight under a full moon. To put it simply: legend tripping is putting yourself into the story. Every paranormal show you’ve ever seen is legend tripping first. A compelling story pulled in the investigator and begged them to ask more questions. These stories help define a region, who we are, and they connect our cultures. Sharing these stories binds one person to another and offers a direct connection to our ancestors. Even in the age of Facebook, Twitter, and 24×7 news coverage, oral traditions are far from dead. Now, because of my paranormal roots, I happen to believe that many of these tales are more than just stories. There must have been some kind of paranormal catalyst to birth the legend. The closer we can get the source, the closer we are to truth. How much fact is usually involved in a legend? There are always nuggets of truth in any legend, otherwise the legend wouldn’t exist. If I were to tell you that I saw a yowie, the Loch Ness Monster, and the ghost of Michael Jackson dancing a jig together in front of the Sydney Opera House this morning, you’d think I was crazy. And the story is so unbelievable that you wouldn’t tell others, thus the legend would never be born. The back story is where all paranormal research is conducted. If you follow a legend backward from person-to-person, you can learn where those elements of truth can be found. Oral tradition and folklore is a valid and somewhat reliable form of communication. Investigators ignore it at their peril. To remove the history and legend behind unexplained phenomena is to remove the setting from the stage. The performance means nothing without the context of time and place. The Holy Grail (speaking of legends…) of paranormal investigations is to arrive quickly after a legend is born. If a cryptozoologist receives a phone call from someone nearby who says I saw a yowie this morning and can still see its tracks, that researcher has a great chance at getting really close to the truth. Interviewing someone hours after a profound event means the story hasn’t had a chance to change or evolve much. Following and documenting tracks that are fresh are obviously more credible than prints weeks or months old. When the stories of encounters get older, they naturally change as more people add themselves to the legend. The legend becomes a communal thing. Its roots become fuzzier, but that doesn’t mean they can’t be traced. So what would be a typical example of Legend Tripping? Ever hear about that haunted bridge? You know the one… you drive up to it at midnight, flash your headlights three times, and then the ghost of the woman who flung herself from the bridge years ago will appear and approach your car? Legend tripping means you drive there at midnight and try it. A simpler example would be heading out to Maitland Gaol because you heard it was haunted. And you wanted to see for yourself. On the subject of Time Travel; do you believe that time travel is possible? And is it likely to be scientific or metaphysical? Yes, time travel is possible. Right now we’re moving forward one second at a time. We know for a fact that when you travel on a commercial airliner, time dilates slightly because of your rate of speed and distance from the gravitational influence of the earth. When you use your GPS, the software on the ground must account for the time dilation aboard the satellites in space otherwise you will be kilometers away from where you want to be. Moving forward in time is easy. You just have to go really fast and far away from the influence of gravity. Moving backward in time is the real trick and poses the most problems with physics. There are no laws of science that break when it comes to time travel. And many have claimed that through their consciousness they have been able to project to both the future and the past. I believe that it’s a mistake to think of time as a linear thing. If we think of it as a sheets of paper, or perhaps bubbles of existence, then maybe those bubbles bump into each other at certain points where one time is able to temporarily observe another. Controlling this process… now that’s the trick. What sorts of things are usually reported when an incident may involve time travel? I’m fascinated with what I call time slips. Over the past 20 years I have collected and documented thousands of peoples’ ghost experiences from all over the world. Every once in a while I would find a story that didn’t fit in with the others. For example, a typical ghost encounter may go like this: I walked in to this old restaurant when I saw a woman in Victorian dress float by, then disappear into the wall. In this example, the woman in Victorian dress is out of place. She doesn’t belong in this place at this time. With a time slip, the experience goes more like this: I walked into the old restaurant and suddenly I noticed there were candles burning, no televisions or electric lights, everyone was dressed in Victorian era clothes, and I stood there shocked. A few seconds later, the scene disappears and the restaurant is back to its modern self with electric lights, modern clothes, etc. In this example the witness was the thing out of place. I’ve been documenting many of these types of encounters lately. Do you think there is any link between time travel and parallel universes? Absolutely! If there are infinite universes or dimensions, then everything is happening at some point in the timeline somewhere else right now. If those dimensions were to bump into each other, you would most certainly experience a slip in time. Are there any Australian legends that interest you? Definitely. I don’t plan to leave until I see and capture a yowie. Australia also has many great haunts. I can’t wait to check out the ghosts of Maitland Gaol! Lastly… have you been warned about drop bears during your visit? No, but I have been warned to be on the lookout for the Yaramayhawho… not sure which would be worse to encounter! Tickets for Paracon are still on sale, and are available from http://www.paraconaustralia.com/. Hurry though, Paracon is on Saturday the 11th and Sunday the 12th of May, so don’t leave until the last minute! Jeff will also be taking part in the Paracon After Dark event Ouija Board Experience with Robert Murch. Tickets for the event are on sale, but places are strictly limited!